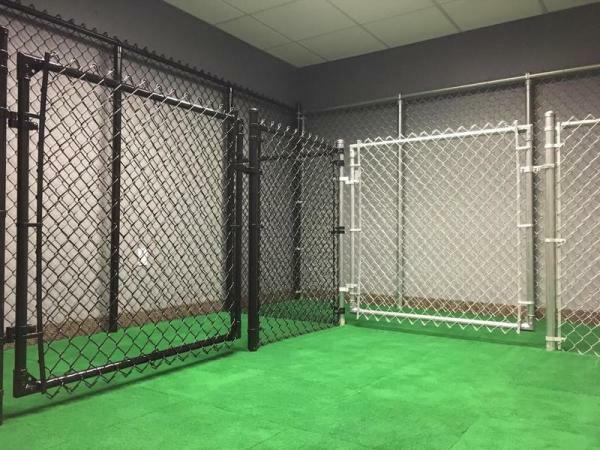 Our chain link showroom will have examples of 48" - 72" galvanized chain link fences and black chain link fences. 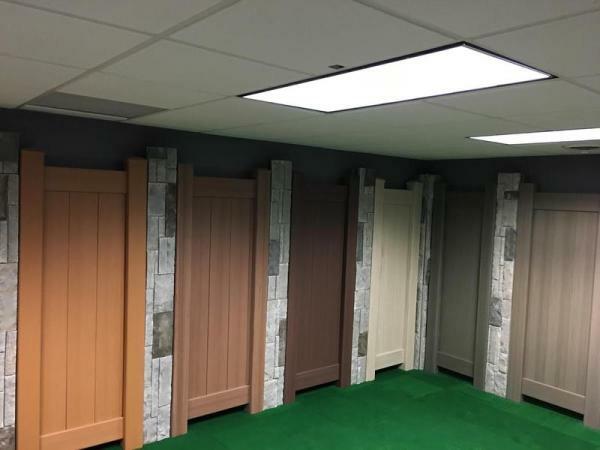 Come see the comparison between our materials and cheaper fence products people use. 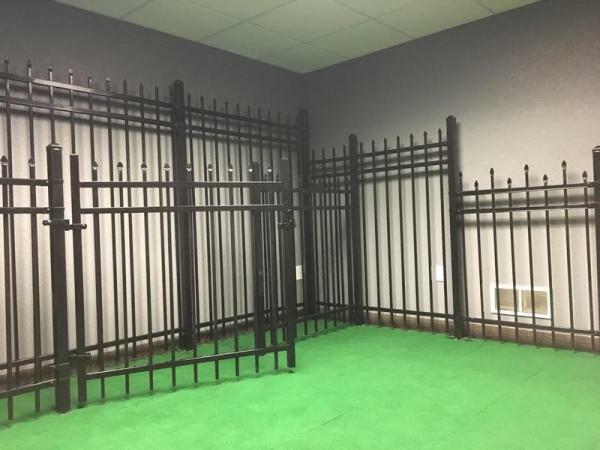 Our Ornamental Steel showroom has examples of 3-rail flattop and 3-rail speartop fences. Also, we have options between standard walk gate hardware and self-closing gate hardware. Come see why we don't install cheap aluminum fencing. 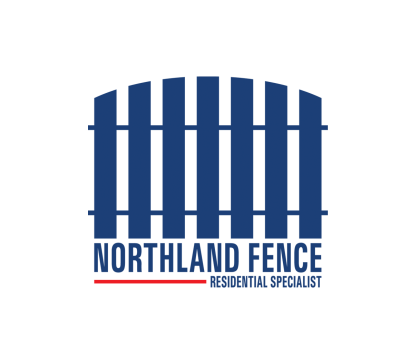 Most fence companies only offer their customers one vinyl fence product where we give our clients a wider variety of products to choose from.